Showing results by narrator "Dr. Bill Creasy"
Study through the entire Bible, Genesis through Revelation, in one year! 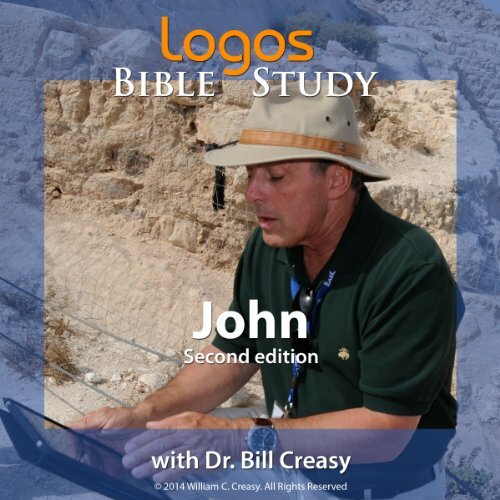 This "flagship" Logos course grew out of Dr. Creasy's year-long UCLA program, "The English Bible as Literature." One of the most highly rated courses on campus, "The English Bible as Literature" placed Dr. Creasy among the top 2% of UCLA teaching faculty for over 20 years! Prophets are emphatically not seers who gaze into the future and predict far-off events; they are God’s spokesmen who always speak into their own historical context. Sometimes what they say may foreshadow messianic or “end time” events, but they always have an immediate historical reference. Understanding a prophet’s historical context is essential to understanding his message. 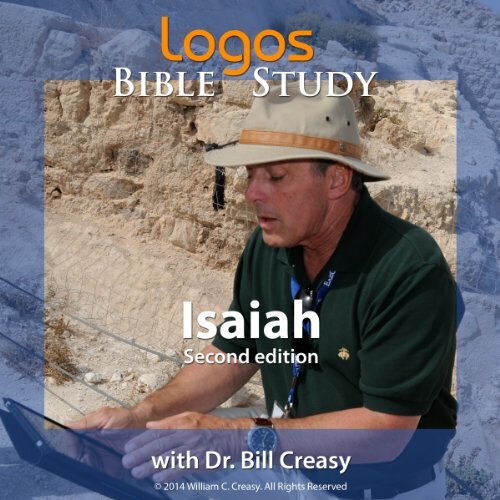 Join Logos Bible Study’s Dr. Bill Creasy in this dazzling exposition of Isaiah, the first of the major prophets. Although Matthew may not be the first written Gospel, like Isaiah it is positioned first in its sequence of four Gospels. Opening with a 42-generation genealogy, Matthew reminds us of the linear nature of God’s plan, and Matthew forms a link—a swinging door—between the Old and New Testaments. 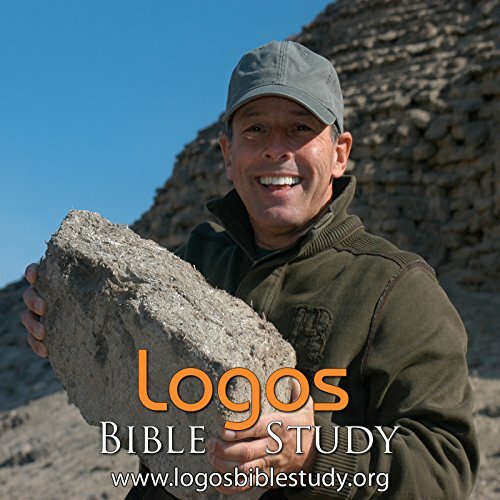 Matthew is a Jew writing for a Jewish audience, and his Gospel provides our first perspective on the birth and public ministry of Jesus Christ. Join Logos Bible Study’s Dr. Bill Creasy as he leads us through this dazzling work. With the book of Esther, we end the linear narrative of the Hebrew Scriptures. And if we can draw one lesson from Genesis through Esther, it is this: "If we do what God says, all will go well; if we don't, it won't." And then we turn the page to Job. Job does everything God wants, and his life is a disaster! As we know from our own experience: bad things often happen to good people, even when they are fully aligned with God. So what gives? Job explores this paradox, calling into question the fundamental lessons we learn in the first 700 pages of Scripture. St. Paul is to the New Testament what Moses is to the Old Testament: as God gave the message of the Law through Moses, so he gave the message of Grace through Paul. In Acts 9: 15 Jesus said that St. Paul is "my chosen instrument to proclaim my name to the Gentiles and to their kings and to the people of Israel." And that is precisely what Paul did. On three missionary journeys - in AD 46-48, 50-52, and 54-57 - Paul worked tirelessly to spread the gospel message throughout Asia Minor (modern-day Turkey), Macedonia and Greece, and to Rome itself. Written considerably later that the Synoptic Gospels (Matthew, Mark, and Luke), John takes a very different approach to the Gospel story. Traditionally attributed to the "Beloved Apostle" John, this Gospel doesn’t give us yet another version of the events in Jesus’ public ministry; John illustrates what those events mean in light of 60 years of reflection upon them. The Gospel according to John is a brilliant book, and it offers us a profoundly intimate glimpse into the person and work of Jesus Christ. Jeremiah prophesized that the Babylonian captivity would last 70 years, and indeed it does: from the fall of Jerusalem and the destruction of the Solomon's temple in 586 BC to the rebuilding and dedication of the second temple in 516 BC. When Cyrus the Great, King of Persia, conquers Babylon, he allows not only the Jews, but all the people taken captive by Assyria and Babylon, to return home in 539 BC and rebuild their cities, temples, and infrastructures. Logos Bible Study presents another masterful presentation by Dr. Bill Creasy of how a divided kingdom will surely fall. From Solomon's reign to the prophetic call of Elijah, 1 Kings tells the story of the collapse of David's united monarchy into a nearly 100-year civil war and the fracture of a nation into two kingdoms: Israel and Judah. 2 Kings continues the story, chronicling Assyria's conquest of Israel in 721 BC and Babylon's conquest of Judah in 586 BC, ending with all Israel taken captive to Babylon. 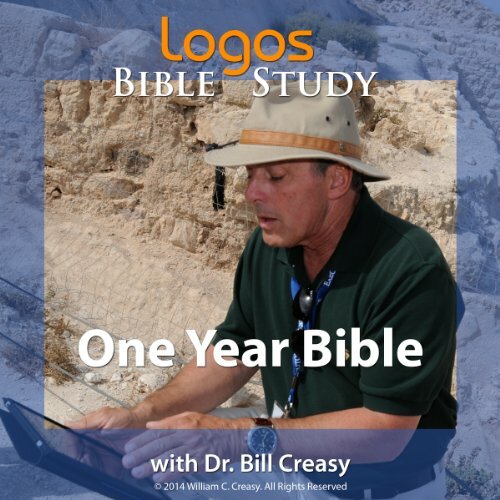 Dr. Creasy has noted on many occasions that the Bible—in its final, finished form—is a unified literary work that is linear in structure; its main character is God; its conflict is sin; and its theme is redemption. Viewing the Bible from this perspective, the curtain rises on our story in Genesis 1, and it falls in Revelation 22. From a literary perspective, Revelation is the final chapter in a sprawling 2,000 page, 66-chapter story. In King David, the Real Life of the Man Who Ruled Israel, Jonathan Kirsch observes: At the heart of the Book of Samuel, where the story of David is first told, we find a work of genius that anticipates the romantic lyricism and tragic grandeur of Shakespeare, the political wile of Machiavelli, and the modern psychological insight of Freud. And, just as much as Shakespeare or Machiavelli or Freud, the frank depiction of David in the pages of the Bible has defined what it means to be a human being: King David is "a symbol of the complexity and ambiguity of human experience itself." Some think Leviticus is a “boring” book, yet it springs to life with the masterful storytelling skills of Dr. Bill Creasy. Listen as he weaves the texture, tone, and color of daily Israelite life during this amazing period of biblical history. With its emphasis on personal holiness, atonement, and sacrifice for sins, Leviticus separates the Israelites from their surrounding culture, calling them to be holy, as God is holy. After 40 years in the wilderness the Israelites begin their conquest of Canaan, the land God promised to Abraham, Isaac and Jacob. In the book of Joshua the Israelites cross the Jordan River, attacking Jericho—and we watch the walls come tumblin' down! By the end of Joshua the Israelites have subdued most of the "Promised Land" and it is allocated to the 12 tribes—yet, there are still significant pockets of resistance, especially among the Philistines on the coastal plain. The Hebrew Scriptures contain three major figures: the priest, the prophet, and the king. The priest stands between the people and God, and he speaks to God on behalf of the people; the prophet stands between God and the people, and he speaks to the people on behalf of God; and the king represents God in the affairs of the nation. The "general epistles" include those New Testament canonical epistles and letters not attributed to St. Paul, but all written during the 1st generation of the Church by those closely associated with Jesus. They include Hebrews; James; 1 & 2 Peter; 1, 2 & 3 John and Jude. The Minor Prophets of the Hebrew Scriptures are not "minor" because they are less important than the "major" prophets, but because they are shorter in length: Isaiah is 66 chapters; Obadiah is one. Nevertheless, the Minor Prophets are dazzling works that penetrate deeply into Israel's relationship with God, and by inference into our own relationship with God. In the Bible’s longest soliloquy, Moses imparts his final thoughts to the people of Israel. Deuteronomy is not a “repetition” of the Law, but a retelling of it to a new audience, on the backside of 40 years of experience. Join Logos Bible Study’s Dr. Bill Creasy as we listen to Moses address a new generation of God’s people on the plains of Jericho.